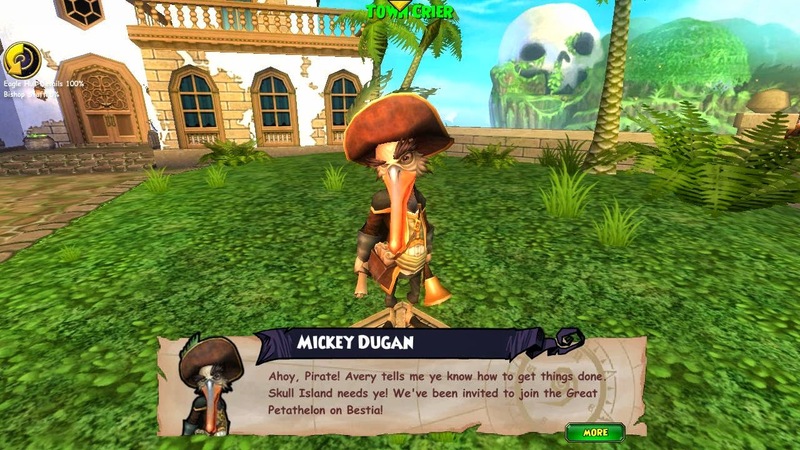 I'm sure you've heard by now that the Pirate101 Test Realm has been released with all kinds of awesome updates! 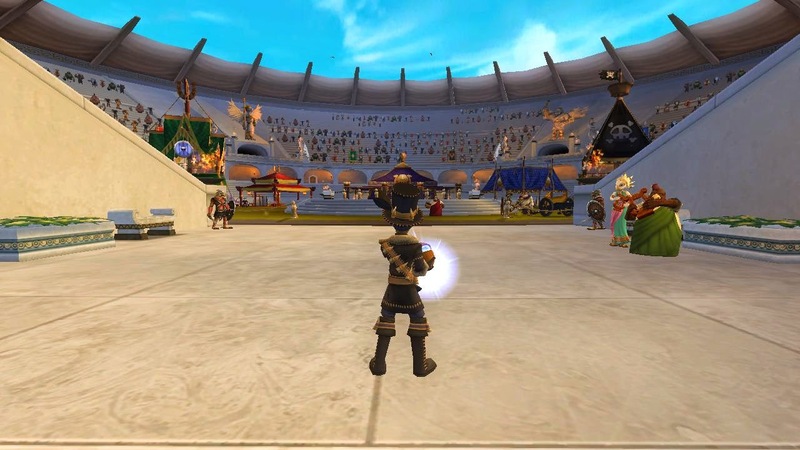 I knew that I would have to wait for the test relam to see if all of the Pirate101 updates would be as awesome as Kingsisle said they would be and they are. :D I've been on the game lately testing out all of the new updates and you wouldn't believe how much fun I've been having! I've test out a little bit of everything but for this post I'm going to tell you what I think about the new advanced pets. The first thing you have to do to figure out how to level your pet and everything is to talk to Mickey Dugan right by Avery's Office in Avery's Court. There's a long quest that will help you figure out everything you need to know about pet leveling & pet pvp. You will need this quest to sail to Bestia from Avery's Court. I recommend you complete this quest so you know how to level your pets and if you're up for a challenge, pet pvp. I won't give anymore hints on how you're supposed to do this since you can find out how to on the Test Realm or on the Live Realm once it's released. I think this update is my favorite update I've test out and can't believe how much awesome there is in this update. I really can't believe how much fun I've had leveling pets. I know a lot of you know that leveling pets on Wizard101 does take a lot and sometimes you can't get what talents you want. Pirate101's Advanced Pets are different, in a good way. :D I like everything about the advanced pets and can't find anything so far that I don't like about it. I think everyone should test this out and then tell everyone if you like it or not, I bet you'll like it because it's not a requirement to level your pets because of a worry you're pirate won't make it through the next world. 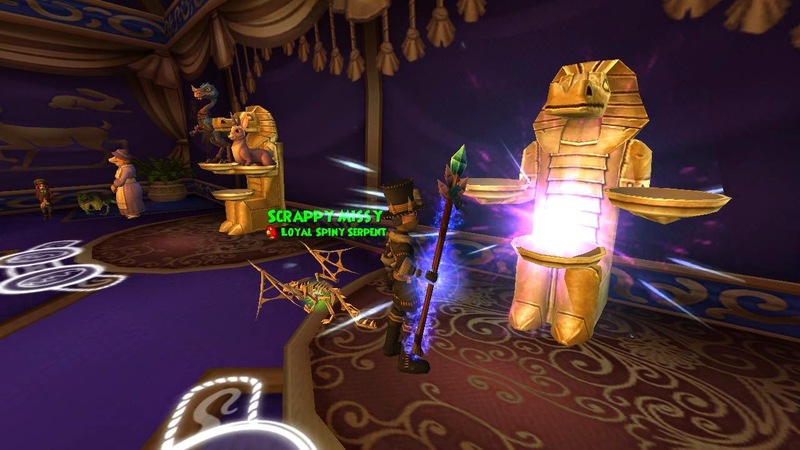 Pirate101's advanced pets are far different than Wizard101's advanced pets. i think by doing this they are complicating p101 like w101 too. to be honest i liked the way how pets levelled up according to your pirates' level. introducing pet games will just make it more complicated. I don't think it'll be as complicating like Wizard101. 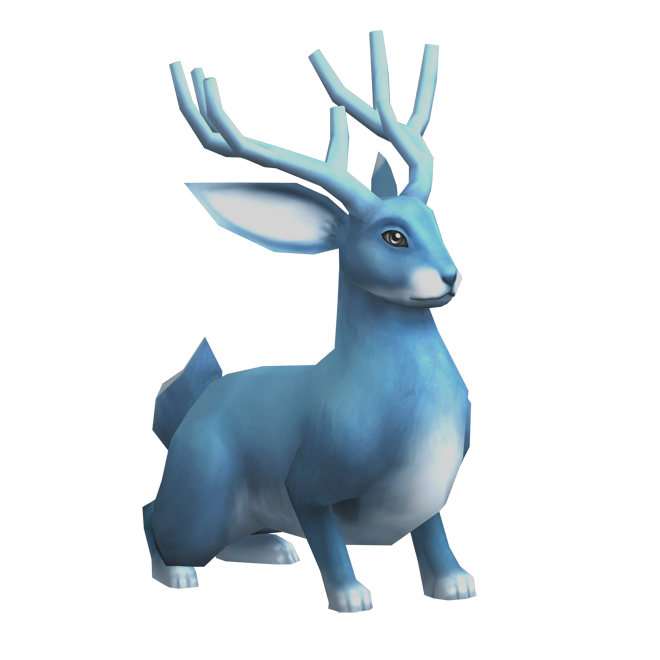 Pets on Wizard101 are like an extra gear. We haven't had a nice set of gear on the game (other than crowns gear) since Waterworks. I still wear that same gear and my fire wizard is level 94. The pets help your wizard and if you don't level your pet you have less talents and I think it makes it a little bit more difficult without the pets by your side. 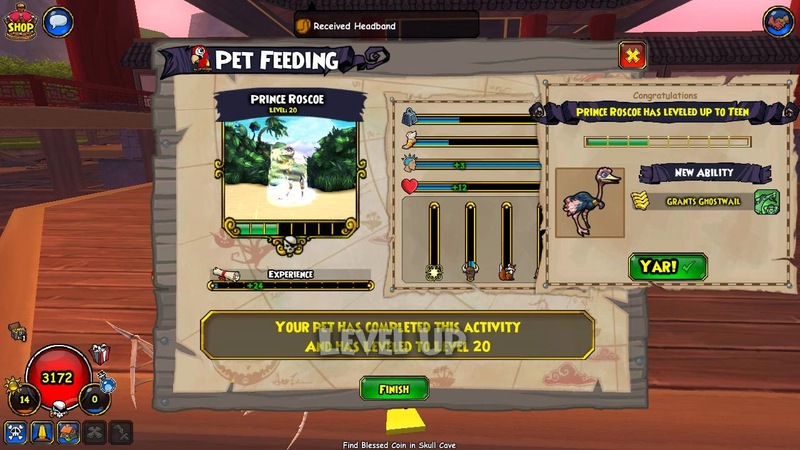 On Pirate101, you have a choice to level your pets or not to since you have companions. I really didn't use my pets much before because I didn't like them unless they were cute. :D Now I plan on using my pets but I think they added the pets for another fun activity for pirates to do and they seem like they'll help us more but so far, they won't be a necessity like wizards. I love Wizard101 but I do think they need to do a lot for our wizards so we don't have to level our pets for extra help. I'd rather farm for gear. Anyways, sorry for another post in the comments section! :P I do understand where you're coming from and that's why I published your comment :) Remember, if you have an idea, submit it to KI on the test realm :) Thanks for reading!